In addition to water damage restoration services, we are also ready to help you with fire damage reconstruction and restoration. Fire. Smoke. Soot. Whatever you need. Below are a few of the services we provide to help homes and business recover from the damage of a fire. Fast, affordable fire damage reconstruction and restoration. Marion County, Indianapolis, Beech Groove, Clermont, Crows Nest, Homecroft, Lawrence, Meridian Hills, N. Crows Nest, Rocky Ripple, Southport, Speedway, Spring Hill, Warren Park, West Newton, Williams Creek, Wynnedale, Hendricks County, Amo, Avon, Brownsburg, Clayton, Coatesville, Danville, Lizton, North Salem, Pittsboro, Plainfield, Stilesville, Boone County, Advance, Jamestown, Lebanon, Thorntown, Ulen, Whitestown, Zionsville, Hamilton County, Arcadia, Atlanta, Carmel, Cicero, Fishers, Noblesville, Sheridan, Westfield, Johnson County, Bargersville, Edinburgh, Franklin, Greenwood, New Whiteland, Princes Lakes, Trafalgar, Whiteland, Morgan County, Bethany, Brooklyn, Martinsville, Monrovia, Mooresville, Morgantown, Paragon. 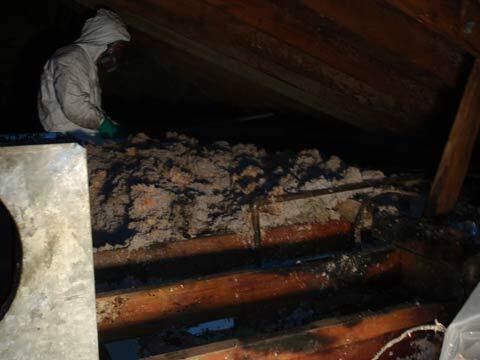 Here we are removing the insulation after a fire. This type of work requires us to follow HazMat guidelines, which we are fully trained and certified to do.